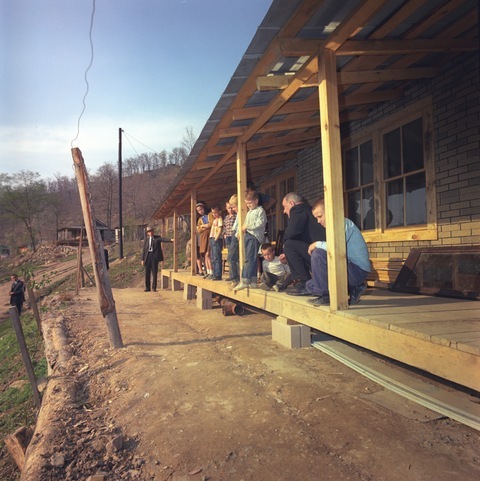 In 1964, as President Lyndon Johnson launched a broad platform to abolish American poverty, images of American poverty focused on the inner-city and rural poor. Today, fifty years later, statistics reveal another rapidly-growing group living in poverty: the suburban poor. The Metropolitan Policy Program of The Brookings Institution tracks national rates of poverty and found that while populations in the suburbs have increased in previous decades, the poverty rate in the suburbs has increased even faster. According to Confronting Suburban Poverty in America, there are now more poor residents living in the suburbs than in central cities, including over one-third of the nation’s total population. NewsHour Weekend producer Megan Thompson visited Suffolk County, New York to document the struggles of suburban families living on the edge. How much do you need to get by? 50 years on, what strides have we made on poverty?